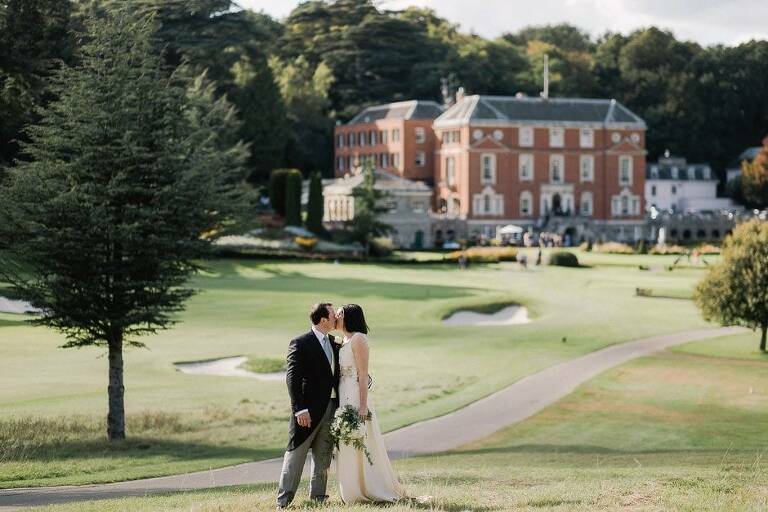 The Royal Automobile Club at Woodcote Park is a beautiful Grade II Listed stately home and sits within over 350 acres of idyllic Surrey countryside. Nicola and David were highly recommended to me for their wedding in September and were a lovely couple to work with. Their coverage started from guests arriving at their local church where their ceremony soon began. After some welcomed confetti we headed back to the RAC I took them around the gardens for a few quiet moments to soak in the beautiful landscapes and have some time alone whilst their guests mingled on the Cedar Lawn. The elegant Cedar room with its large French windows was the perfect setting for their wedding breakfast whilst the Derby Room was a great space for the evening’s entertainment. I always enjoy working at this amazing venue and Nicola & David absolutely loved their images. Please scroll down to see some of my favourite moments from the day……..